Does your exercise related site need exercise tools that will help you compete with the exercise sites of the bigger name companies while helping you keep your online visitors? We have affordable online exercise calculators to add to your site. Your visitors can calculate their target heart rate, resting heart rate, or how much exercise increases life expectancy. A running pace calculator, speed calculator, duration calculator, and distance calculations can help you understand your exercise routine and keep on track. We even offer a full body analysis, which calculates many of the leading health indicators. Find these exercise calculators and more, right here! 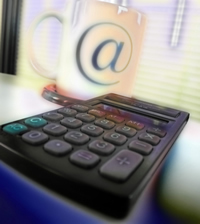 See if there's an exercise calculator you can add to your site that will help your visitors. Better yet, add our entire group of exercise calculators at a very reasonable price! Just click the shopping cart by "Exercise Calculators" to subscribe to the whole group, or click the shopping cart by a specific calculator name to order just that one. If you can copy and paste a link to your site, you can add as many exercise calculators as you need in just minutes. Coming Soon! These calculators will be added to the Exercise Calculator Group soon. Remember, if you subscribe to the Exercise Calculator Group now, you will get these new exercise calculators free when they are released. Vote for the one you would like us to do next or something completely different. Also available: Not looking for an Exercise Calculator? Maybe what you need is in one of these groups instead. Not looking for an Exercise Calculator? Find out how many exercise calories YOU burn doing different sports or activities, including everyday chores. The more you weigh, the more calories you burn doing the same activity at the same intensity level as someone who weighs less. Use this Exercise Calories calculator to put together a super calorie burning workout plan. Or find some new activites to increase your intensity level and exercise calories burned. You can even find substitute activities but maintain your workout intensity. Choose an activity or combine several activities and find how many exercise calories you'll burn. Where should my heart rate be while exercising in order to reach my fitness goal? Every one should know their maximum heart rate (MHR) for exercising safely, which depends on your age. Also enter your fitness goal and let this calculator help determine your target heart rate (THR). Where should my heart rate be while exercising, based on my current fitness level and my fitness goal? The Karvonen formula is a more personalized method to determine your exercise target heart rate. Enter your age, your resting heart rate, and the your intensity level during exercise and let this calculator help determine the target heart rate (THR) zone that will maximize the effectiveness of your cardio workouts. How much time have I added to my life expectancy based on my exercise habits? According to Dr. Ralph Paffenbarger you increase your life expectancy by 2 hours for each hour of vigorous exercise. (Recent results of a study of over 17,000 Harvard alumni started in 1962.) Enter your exercise habits to calculate how many hours you have exercised or will exercise over time and the resulting increase in your life expectancy. Calculate and show me many of the common health indicators. This calculator combines the output from several individual calculators to give you a full body analysis. Quickly find out your BMI, waist to hip ratio, body frame size, ideal weight, body fat, RMR, calories burned, target heart rate, and maximum heart rate. What is my speed if I'm covering a mile at the given pace? Enter a pace to find the corresponding speed. How long will it take to cover a mile (pace) at the given speed? Enter a speed to find the corresponding pace. How fast was I going to cover the given distance in the given amount of time? Find the speed and pace you walk, run, bike, skate, or row when you know the distance and duration. How long will it take to cover the given distance at the given speed or pace? Find out how long it will take to walk, run, bike, skate, or row when you know the distance and the speed or pace. How far will I go over the given time at the given speed or pace? Find out how far you will walk, run, bike, skate, or row when you know the duration and the speed or pace.